Our reply to Ben Lewis request for a comment from JERSEY TAXIAPP in reply to recent comments on his blog page dated 7th January 2019. As the saying goes 'Desperate times call for desperate measures! '...and those desperate measures are now being deployed by Ben Lewis a so called local IT expert who thinks he knows everything about the taxi industry because he helped develop a taxi app. One only has to watch programs like Dragons Den to see young entrepreneurs like Ben come onto the program thinking they have developed the next best thing since sliced bread that will quickly make them rich over night only to discover that their lack of experience and knowledge of the industry they hope to operate in will be there downfall. In Ben's case he has missed the boat as taxi apps have been available for many years and being continuously upgraded and developed by companies with huge resources on a global scale, and these companies are still able to customise their taxi Apps for local markets and are better and cheaper in the long run for taxi drivers and customers, but most importantly our App it is fully regulated by the DVS under their guide lines and rules for local booking dispatch operators. These are the words entrepreneurs absolutely hate the most 'Non-profit organisations' and that is what we are all about, as the JERSEY TAXIAPP was launched by taxi drivers for taxi drivers and their customers and not for 3rd party entrepreneur like the 'goto' app. We have also been in the industry for many years, we know how the industry works inside out and its not only by pushing a few buttons on a computer screen. The logistics of running taxis is far more complicated as we have to service taxi ranks around the Island besides taking bookings and demands for taxis at different times of the day and night. There are peaks and troughs in our business just as there are in many businesses and with all the data charts and grids in the world you still won't know how many taxis will be needed when a plane lands or a boat come in, or how many people will need taxis from a large event. Ben Lewis asked for a reply from us to his own data findings about our JERSEY TAXIAPP, and our reply is your data is flawed as you have not received or been given any permission to show our personal data, the reader has to take your word for it that your data gives a true account on our apps usability or where our drivers are at any given point which it clearly doesn't. Example; your chart published yesterday says it shows where our JERSEY TAXIAPP drivers are supposed to be around the Island, however it clearly doesn't show the many taxis that are parked up at taxis ranks in town or at the airport?. So it's a total nonsense and simply published to try to do harm to another business, however something that is more noticeable is that you have not made any comparisons with data for your 'goto' app, how convenient?, but we can tell our readers that when you first launched your 'goto app you stated on your website that you had 30 drivers already signed up and wanted to rise to 50 in the next few months. Then on BBC Radio Jersey during your interview you stated that you had 15 drivers, so the number soon dropped by 50%, and then we hear from a passenger who works in your operation that you actually only have 7 drivers? Then last weekend you got into a JERSEY TAXIAPP vehicle at the Weighbridge and you started promoting your 'goto' app to the driver, who then asked you if it was that good why had you not used it to get a taxi instead of getting one from the rank? I bet your co-founders will be very happy knowing that you are doing the very thing that will damage your company, and the only thing you are managing to achieve by publishing inaccurate data about another taxi app is to further alienate yourself from the very drivers you hoped to attract to come and use your app. Well done Ben a massive home goal, have you got anymore bright ideas to help your recruitment scheme. Being you are so keen to pick holes with our App lets look at the flaws with the 'goto' app which you conveniently forget to mention; Firstly one of the reasons why the 'goto' app cannot be recognised by the DVS as a regulated booking operator is the rule regarding fare transparency, as the clarity on charges was something that the former DfI Minister, Deputy Eddie Noel insisted upon when making all these sweeping changes to the local taxi industry. All taxi cab operators were told that they had to make public their tariffs which are also published on the Government's own website, demonstrating how much their booking charges are over and above Public Rank fares, this also had to displayed on a tariff card inside the taxis. This was all part of The States’ Sustainable Transport Policy which required the former DfI Minister to make those reforms and simplify taxi-cab regulations. Now being your app uses taxi cab drivers from different companies you cannot tell your customers how much they will be charged as those taxi cab drivers are attached to different booking operators which set there own fares, this simply means the customer will be charged different amounts to get from A to B depending on what company that drivers works for. This goes against everything the former DfI Minister insisted upon, there's NO clarity or transparency in those charges if the customer uses your 'goto' app. This is the reason why you cannot be added to the Jersey States own tariff cards which lists the fares charged by local dispatch operators, if you click on the link below it shows the last tariff card the DVS published which needs updating as it doesn't show our JERSEY TAXIAPP as we have only been in operation for 3 months, and this tariff card was published before then, however the DVS has agreed since that we can set our pre-booked fares at 9% above Public Rank fares which makes us the lowest priced booked taxis on Island going by the last Jersey States taxi tariff card. So the point is when it finally gets updated the JERSEY TAXIAPP will be added to it but they won't be adding the 'goto' app tariffs simply because of the reasons given above, you cannot tell your customers how much they will be charged and this is the reason why you cannot be regulated by the DVS. On this Government website notification dated 22nd May 2017 and headed 'Department for Infrastructure Minister approves taxi tariff changes', it clearly states- These tariffs will apply to all taxi-cabs whether private hire cabs or taxis. However, where a journey is pre-booked, an additional charge above the taxi-cab tariff may be charged by the entity that is responsible for dispatching the journey (eg cab company). This may be a fixed amount or a percentage above the prescribed taxi-cab tariff but it will have to be declared to the customer in advance of them accepting the booking or included in the dispatching entity’s tariffs. Your app does not conform to these requirements for clarity on tariffs. it cannot do this because you use drivers from different companies. Unlike our regulated JERSEY TAXIAPP drivers all charge the same tariffs and we also give a fare estimation on the App before booking, as far we know we are the only app that does this giving the clarity that the DfI Minister wanted. Plus with our App the customer has choice to pay with cash or card, with 'goto' they can only pay by card after first registering their card on your App. I suggest you concentrate on your own Apps failings before trying to find holes in others Ben. Stick to what you know best and that's pushing buttons on a key board and leave those who work in other industries to get on with there job, we have embraced technology without your help and quite frankly after reading the rubbish you recently published on your 'goto' blog page our members are happy we took the route we did. We do not intend to keep replying to your blogs or your false data findings, if you continue publishing such rubbish it proves you are more concerned about us rather than concentrating on your own app. We on the other hand have far more important things to be getting on with, which includes providing a good reliable taxi service, and despite your negative comments we are getting some very good feed back from our customers who are more-than impressed after using our JERSEY TAXIAPP. Perhaps one day we will see you on Dragons Den with the next big thing in the digital world....But our advice would be to try and invent something that's not already out there..Good luck. Condolence message from the JTDA members. on Saturday 27th at the Lakeside Care Home. public rank taxi for over 55 years before he retired in 2016. 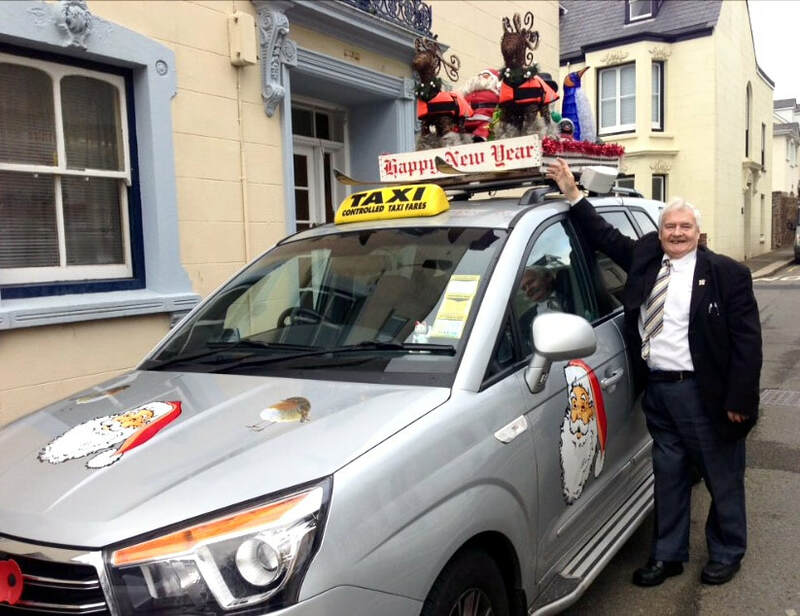 Bob was also awarded the MBE for his years of charity work, which included fundraising and fun runs for pensioners and disabled children and he will also be remembered in the island for decorating the outside his taxi with lights and figures for the annual Jersey Christmas parade. The Funeral will to be held at the Crematorium at 1:30pm, Friday 9th November. There will also be a procession of taxis to follow the funeral cars to the Crematorium. Details of this will go up on the A/P notice board. RIP. X-ray. Enter our free competition on our JERSEY TAXIAPP Facebook page. Click picture below to find out more...hurry as the competition ends 14th October 2018. TIME AND TIME AGAIN WE HAVE SAID THAT BOOKING A RIDE WITH ‘JERSEY LIFTS’ IS FRAUGHT WITH DANGER AND THE NEWS STORY BELOW SHOWS EXACTLY THE REASON WHY. 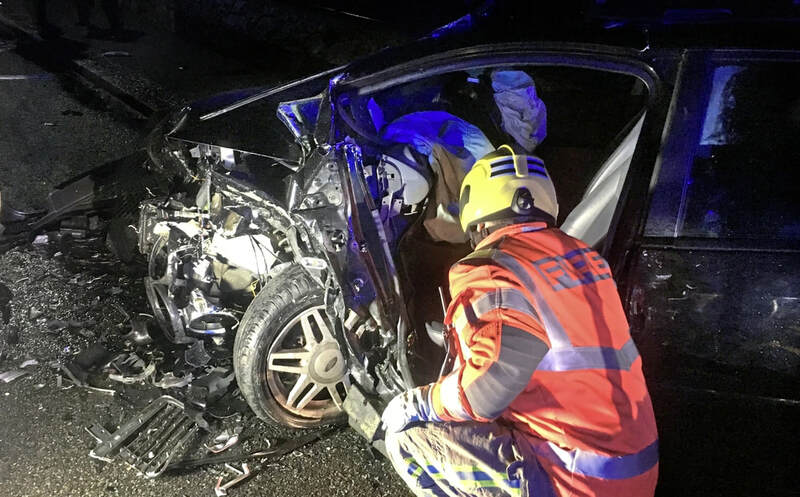 The Royal Court was told that a young 18-year-old student who seriously injured three people after crashing his car while driving ‘extremely dangerously’ had previously posted his availability to give lifts on Facebook. George Eardley Cookson was banned from driving for 4 years and given 200 hours community service after admitting one count of causing serious injury by dangerous driving after crashing his car into another oncoming vehicle outside St Saviours School on Friday 12 May last year. It was also reported that he was speeding at the time and showing off to his 4 passengers who had asked him repeatedly to slow down...Then further revelations came to light when the court was told that he had previously posted that he was available to do lifts on Facebook. This must be a big concern for anyone who users this unregulated service and surely its about time now that the States of Jersey Police and the car insurance companies started clamping down hard on those who are running nothing more than a illegal and unregulated taxi service for reward. The 1935 Motor Traffic law is clear that anyone found guilty of this offence are liable to receive fines of up to £10,000...And we think it’s about time they started to enforced this law before somebody is killed. Anyone using this service should also take into account that NO checks are carried out on the drivers or on the roadworthiness of the vehicles by those who run 'Jersey Lifts' Facebook or 'Jersey lifts' App and they simply disclaim responsibility for the actions of their members. The Motor Traffic (Jersey) Law 1935. (b) the vehicle is being used and operated in accordance with the conditions set out in the licence. (2) A person who causes or permits a motor vehicle to be used or operated as a public service vehicle in contravention of this Article shall be guilty of an offence and is liable to a fine of level 3 on the standard scale.(2) . Level 3 carries a maximum fine of £10,000. A firefighter inspects the wrecked car after the collision on Bagatelle Road outside St Saviour’s School . Picture: JERSEY FIRE AND RESCUE...12TH May 2017. ​Congratulations to Steve Marsh who was voted in as the new JTDA President on Monday 8th January during our AGM. We wish Steve and the JTDA committee every success in the challenges that they may encounter in the future. We would also like to say a big thank you to Mick Tostevin who decided last year that this would be his last term as President after 7 years in that position. ​Looking back over those years there were lots of issues for him to deal with during his Presidency...back in 2012 the States first publish what was called the Green Paper which identified and highlighted many changes in how the industry should move forward into the future. The TAS report was compiled on the back of those findings and was published in 2013 which detailed even more recommendations for change to the taxi industry in Jersey. Being the JTDA President during this time was extremely challenging and time consuming as there were times when it nearly became a full time job for him, as the volume of work and effort that he put into challenging some of these new taxi proposals became overwhelming to say the least...Mick always believed in dialogue and negotiations as the best course of action to try and resolve matters and to accomplish a reasonable solution to any major proposals to the change of regulations to our industry, especially if those changes could be to the detriment of the taxi drivers livelihoods. Diplomacy was his strong point while protesting or calling for strikes was always regarded as the last resort but some times necessary when all else failed...and there were times during his Presidency when he was left with no alternative but to call for industrial action and that's when the members and non-members of the public rank taxis rallied around him and took their vehicles to the streets of St Helier in protest. This action was called for when the new DFI Minister, Deputy Eddie Noel said that he was going to make it a rule that all taxis would have to be wheelchair accessible vehicles (WAVs) regardless of the cost to taxi driver and fact that even their own TAS report recommended keeping a mixture of vehicles as it gave the travelling public choice. Then there was another time when without warning the Minister called a halt to the ongoing discussions with the JTDA that ended any further negotiations which again caused fury amongst the drivers and lead to further industrial action. ​In summary it would be fair to say that no other JTDA President in the past has had to face so much change to our industry or had to work as tirelessly as he did during these challenging times. Therefore on behalf of the JTDA committee and its members we would like to say a big thank you to Mick for the hard work and effort that he put into being our President over these last 7 years and we wish him and his family all the very best in the future. The JTDA and Public Rank Taxi Drivers apologise for any inconvenience the protest might cause the general public on Tuesday 18th July. Please take note that Taxis will still be available for hire and all public ranks will be serviced during the protest. To find out reasons why the taxi drivers feel that they are left with no other alternative but to hold a protest please read the press release notice below. ​LATEST NEWS 11th July 2017. Following Senator Sarah Ferguson Annulment Order and proposition brought before the States Assembly last Friday 7th July, the Senator sent an email politely requesting that the Minister for the Department for Infrastructure, Deputy Edward Noel should pause on forcing the implementation of his new Taxi fares and tariff changes so the issue can be debated by States members. Unfortunately the Minister has since replied saying he will continue enforcing these changes which were implemented by himself to take effect by the 1st July, even though his Order was not presented to the States until Tuesday 4th July. This basically means that he will continue to put pressure on all Taxi drivers to change their meters or face suspension...this shows the arrogance of this Minister who is prepared to implement these changes knowing that the information gathered to change the fares and tariffs is seriously flawed and will lead to further public confusion and a reduction to the income of public rank taxi drivers who's tariffs he already controls. Meanwhile private hire cab companies will remain unaffected as they will be able to continue setting their own higher fares and charges. The Minister will also be facing both a legal challenge if he continues as some of his changes which are clearly wrong and also discriminate against public rank taxi drivers. A complaint is going before the States Complaints Board in due course and now taxi drivers feel that they are being pushed into a corner and they more likely have to protest publicly against these changes, especially as the Minister refuses to have further discussions with them and their request for mediation has been refused. 7th July 2017. Senator Sarah Ferguson lodged a proposition in the States. DRAFT ACT ANNULLING THE MOTOR TRAFFIC (CABS – FARES AND CHARGES) (JERSEY) ORDER 2017. The States are asked to decide whether they are of opinion- to adopt an Act as set out in Appendix 1 to this proposition, annulling the Motor Traffic (Cabs – Fares and Charges) (Jersey) Order 2017, and to request the Minister for Infrastructure to enter into discussions with the Taxi Drivers’ Association under the supervision of a mediator. There has been an attempt to merge the Rank Taxi business and private hire business (Cabs). This has been unsuccessful, as the Minister for Infrastructure does not have the vires (Beyond his power) to dictate prices to Cabs. The intention of the Department for Infrastructure (“DfI”) has been to simplify the tariff structures so that the Public finds them easier to understand. The number of tariffs has been reduced from 4 to 3, but Cabs have different tariffs to the Rank Taxi tariffs. Since this was combined with an attempt to merge the 2 types of business, the result has been that private hire Cabs have dual tariff meters and the Rank Taxis have only their own tariffs. Under the plans of the DfI, there are certain Ranks where private hire Cabs can pick up passengers at certain hours of the night or at a time where there is a shortage of Taxis. 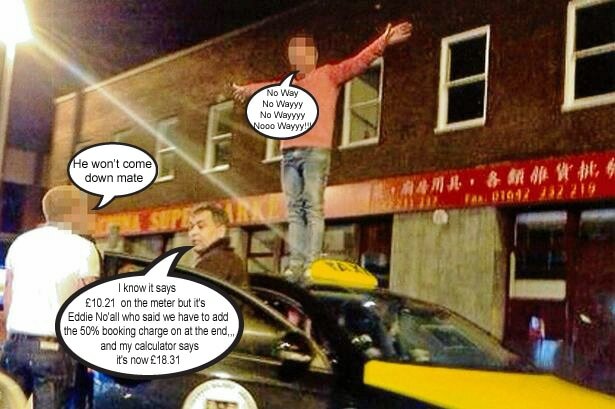 If Cabs pick up passengers on the Ranks they are expected to charge Rank Taxi fares. However, there are examples where Cabs are picking up passengers from the specified Ranks but are charging Cab fares. In previous years, the increase allowed in tariffs for Taxis has been based on RPI (Taxi). The changes imposed by DfI are somewhat arbitrary. In addition, as can be seen by the submission by the President of the Jersey Taxi Drivers’ Association (“JTDA”) (Appendix 3), some increases will impose higher tariffs on passengers, and some tariffs are based on readings from meters which appear faulty. All the drivers are asking for is the ability to meet with the Minister for Infrastructure and sort out the tariffs. For this to be effective, it would be helpful to engage the services of a mediator, and the Order should be annulled and brought back once agreement has been reached. There are no significant financial or manpower implications for the States arising from the adoption of this Proposition. To read the full submission by Senator Sarah Ferguson and the JTDA letter from the President of the JTDA Mick Tostevin please click on this link below. WE PUT IN A FULL PAGE NOTICE ON PAGE 32 WHICH HEADLINED..
"NO MORE LIES AND SPIN MINISTER, THE PUBLIC OF JERSEY DESERVE TO BE TOLD THE TRUTH". The reasons why Public Rank Taxi Drivers are saying NO to the Department for Infrastructure (DFI) Minister Deputy Eddie Noel is to protect our customers from his new regulations and in particular the new 'Multi Tariff Meters' that this Minister is going to introduce onto the public ranks under his current policies. They are wide open to a abuse and over charging as the general public need to know that these vehicles will have several different tariffs on their meters, and not just three tariffs as the Minister keeps repeating to the press and local media. Deputy Noel is clearly trying to hoodwink the public into believing that from 1st July 2017 ALL Taxis and Cabs will charge the same to go from A to B and furthermore there will be only 3 tariffs. Let us not forget that the original reason for the Review of the Taxi-Cab Industry in the first place was as part of the States own Sustainable Transport Policy Review as far back as November 2010 which was aimed at reducing the Island's carbon footprint by 15% by 2015 (this policy also failed miserably reducing it by less than 1%). Complaints about pricing tended to relate to private hire services, whose fares are not controlled and can sometimes be 25% or more higher than rank taxi fares. Other potential problems revolved around difficulties in obtaining taxi services in the country areas especially at night, a lack of 24 hour cover and services to the airport. Has the current Minister, Deputy Eddie Noel addressed any of these key issues?. The resounding answer is NO he has not. Now and after two years on, how much time and public money has been wasted on this Taxi-Cab Industry Review to basically remain where we were at the start. One of his key objectives was to give the traveling public clarity and transparency on taxi fares and he has failed miserably and to make matters worse he now intends to allow these private hire companies with "multi-tariff meters" to have access to the Public Taxi ranks from the 1st January 2019 and to have all of this "signed off" on the 1st July 2017, less than 3 weeks away. You may remember that back in September 2015, Deputy Noel put his proposals out to the Taxi and Cab Industry as a "done deal" and originally wanted ALL public rank taxis to be wheelchair accessible vehicles (WAVs). This was seen as total nonsense from the start not only by ourselves but even the disabled community, the elderly and other taxi users and eventually the Minister bowed to public pressure showing again that his policies are flawed. The public rank drivers had become so angry, frustrated and annoyed that they took to the streets of St Helier in December 2015 to protest against these ridiculous proposals and the dictatorial way in which this was being forced onto the drivers as a totally unnecessary burden and expense. At the time even the Environment Scrutiny Panel under the Chairman Constable Simon Crowcroft stated that they could not properly scrutinise Deputy Noel's proposals because there was nothing concrete in them to scrutinise. After the protest a meeting was called by the Chief Minister, Senator Ian Gorst with representatives from the Public Rank Taxis, following which the Chief Minister instructed Deputy Noel and his Officers from TTS (now DFI) and the DVS to get around the negotiation table with the taxi representatives to find and agree a way forward. Since then we have had two years and over 40 hours of discussion with his appointed officers who we feel have provided us with nothing more than lip-service, agreeing certain ideas and then back tracking at the next meeting. In March this year the Minister then closes the door in our face by stating that the negotiations were over, despite the fact that important parts of the process were still being negotiated. We then turned to the Chief Minister for guidance, stating the position and that we were trying to avert any further industrial action as the drivers were getting annoyed and frustrated by the attitude being displayed to them by the Minister for DFI, Deputy Eddie Noel and that we wanted to get back around the negotiation table. We received no acknowledgement of our email and so the drivers voted to take further industrial action. Finally after seven weeks the Taxi Association has received an email back from Chief Minister, in which he clearly supports Deputy Noel, his appointed Minister for the DFI, this is despite the fact that his key objectives will not be achieved. The process to which the Taxi-Cab Industry has been subjected to is so typical of what Jersey politics has become in recent times with a Minister determined to push his policies through no matter how flawed or nonsensical they are. The DFI Minister, Deputy Eddie Noel originally stated to us that "the train had left the station" and since then our representatives have gone through almost two years and 40 hours of talks to what appears to be nothing more than "smoke and mirror" negotiations and throughout this past two years and virtually on every part of the negotiation process, (which has not been with the Minister but his appointed officers), there have repeatedly been "misunderstandings" and "misinterpretation" throughout. We have even witnessed on numerous occasions these officers arguing between themselves over the interpretation of the proposals and at the end of the day the Minister was not really changing from his original plan, no matter how flawed it was and to keep to his own railway analogy, he is now trying to railroad this through no matter the outcome or consequences. The Jersey Taxi Drivers Association along with all the majority of other non-member Public Rank Taxi drivers are disgusted with the way the Minister has treated us. we have had enough Ministerial SPIN to last us a lifetime...we are also offended by the Chief Minister's response which was so late in the day. This is why and following our recent industrial action we have asked the Minister for mediation to try and solve our differences.....we are still waiting......what is he frightened of ?. The Minister has chosen to ignore evidence put forward by us such as the UK Law Commission Report on the Taxi and Cab Industry in the UK, which took three years to compile and who strongly advised the UK Government to retain the current two-tier system as it served best for both customer service and consumer interest. They advised the UK Government not to go down the road of a one-tier system as it would be flawed and could never truly be one-tier system as both Public Rank Taxis and Private Hire Cabs were different entities that crossed paths on occasions but because of the different service levels and business set ups, they should be kept apart otherwise you would end up with either an over or under regulated hybrid system that would not function properly... and that is the track that Deputy Noel is taking. We have gradually lost confidence in these Ministers to make the right decisions, not just for our industry but the Island as a whole, nowadays it seems that every time we see or read the local news there has either been a massive governmental over spend on projects or money wasted on things like PR companies that are employed to show Ministers how to communicate with the public and other fellow Ministers, in other words how to use SPIN instead of the facts and the truth. As one person said in reply to the news about hundreds of thousands of pounds spent on PR companies. 'If you tell the truth, the whole truth and nothing but the truth, why do you need a spin doctor?'. There is something fundamentally wrong with this current state of government, the Ministerial way is just not working and too much power is in the hands of too few. That is why we support the Constable of St John, Chris Taylor in his vote of no confidence in the Chief Minister Ian Gorst. and we sincerely hope that other politicians will be brave enough to stand by their convictions and vote in support of Constable Taylor in his quest to find a better way for this Islands Government to function and start putting their heads above the parapet in support of his proposition tabling the vote of no confidence. Let us all hope that for once those elected start listening to the public who voted for them, many of whom are fed up with this current form of dictatorial government. Simply put, enough is enough!. 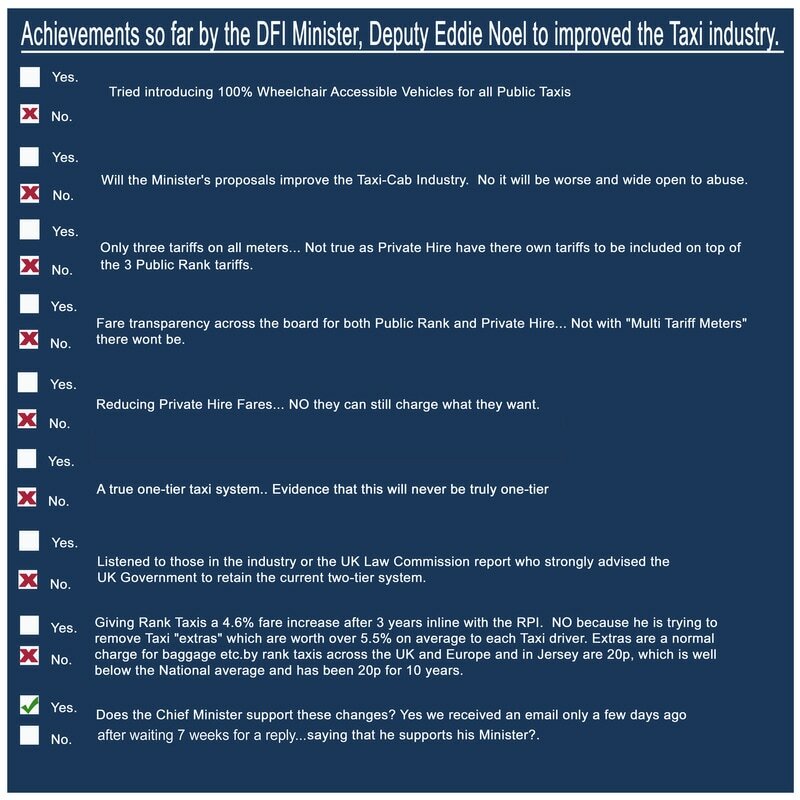 Also listed below are the achievements or should we say failings so far by the Minister for Department for Infrastructure (DFI) Deputy Eddie Noel, to try and improve the Jersey Taxi/Cab industry?. WHY IT WAS SO UNFAIR TO TAKE AWAY OUR 'EXTRAS' AND THEN TO IMPLEMENT QUESTIONABLE CALCULATIONS TO REPLACE IT ALONG WITH THE MINISTERS PROPOSED INCREASE WHICH NOW SHOWS AN OVERALL DECREASE IN OUR CONTROLLED FARES. The point is that this unreliable data was also used in calculating the replacement of our "extras". Which was added as an extra 20p on the flag up price. It has also been noticed that our waiting time charges which is added to the the meters if the taxi on hire gets stuck in traffic or perhaps instructed by the passenger to wait for something, these waiting charges have now been decreased by about 30% to around £14.82 per hour!. Again this has been sent for analysis to get back accurate figures of the decrease. What's unfair is our fares are already controlled and way behind those charged by Private Hire and these changes do not apply to them. And the question is how much would Eddie Noels department charge for a vehicle and driver for an hour from the DFI or from the DVS?. TAKING AWAY OUR 'EXTRAS' WAS NOT ONLY UNFAIR BUT COULD CAUSE REFUSAL TO CARRY LOTS OF EXTRAS IN THE FUTURE? Example: Last week Aviation Beauport requested a Taxi as medics with equipment were arriving back and they needed a large taxi. A driver who had a large taxi answered the request and on arrival was faced with 4 medics, at least 15 bags and special equipment including a stretcher all going to the General Hospital, His vehicle was not big enough so he called for another taxi to help but nevertheless had a fully loaded taxi which took time to load and unload and his "extras" were £1.40 (not charging for all that he could have), but now under the Ministers new taxi fare policy the drivers will get a massive 20p only!...No Airline would ever agree to this proposal!. And we are also wondering what the drivers response will be in the future when a request goes out for a large taxi?. At the end of the day all we are asking for is to be treated fairly as it is expensive to run a business these days. We see the DVS charges increase year on year on average 2.5% and if we go back to 2006 whereupon the taxi drivers saw a massive increase due to the "user pays" policy of the States and annual taxi inspection charges went up from around £40 to £120, a massive increase?. who are heavily subsidised by £4 million every year, on the other hand we are given a hard time and under this current mess we will actually be getting a decrease in our annual earnings. Even if we did actually get a real 4.6% fare increase it's only keeping us up with the cost of living over the last 3 years as everything we use has gone up and by taking away our "extras" worth on average 5.5% as worked out currently we are actually taking a decrease in earnings...is it any wonder the Minister is witnessing such a backlash from the drivers. If you asked a class of five year old's if they had the power to control the prices on food and drink and they heard that people were complaining about the price of milk, would they think it's a good idea to go to the baker shop and say you are going to change the price of bread? You are also stopping the baker from charging for any extra ingredients that they sometimes put into their breads. and then you tell the dairy, I'm not reducing the price you charge for milk but instead I will soon allow you to sell the bakers bread as well..Then ask that class do you think that this will bring down the price of milk? I think they would all laugh at you and they would simply say NO. But Ironically the DFI Minister Eddie Noel must think that this is a great idea as he is going to do exactly that in order to control Private Hire fares, he has taken away the extras charged by Public Rank Taxis who are the bakers in this analogy...And what has the Minister done to control Private Hire charges the answer is 'ABSOLUTELY NOTHING' instead just like the storey above he has told them that they will be able to pick up off the public ranks soon, and he will allow them to keep their higher priced tariffs on the meters which they can set and change at anytime, and he is hoping that they will all charge the lower priced public rank fares when picking up off the public ranks or after being hailed down in the street?..But the trouble is a lot of them don't do that now even though they are supposed to. We have all heard plenty of stories from customers who will no longer go to the temporary rank outside Liberation Station on a Friday or Saturday night because it can sometimes be a lot more expensive. We all remember the similar complaints some people had after hearing through the local media that Senator Lynden Farnham's daughter had been charged £47.50 to go from Conway Street to St Ouens last year when she hailed down a Private Hire Cab...Complaints about high pricing have always tended to relate to private hire services, whose fares are not controlled and can sometimes be between 25% and 50% more expensive and in some cases we have heard even double the price of public rank fares. Other potential problems revolved around difficulties in obtaining Taxi-Cab services in the country areas especially at night, a lack of 24 hour cover and services to the airport. After two years how much time and public money has been wasted on this Taxi-Cab Industry Review to basically remain where we were at the start? And now after waiting seven weeks we finally get a reply back from the Chief Minister Ian Gorst...We were hoping he would bring a halt to this madness and order his Minister back around the negotiation table so we could try and resolve the unfinished negotiations with the help this time from a professional mediator. because all we ask for is some common sense changes to be made for the benefit of the public and for those who work within the taxi industry...But instead the Chief Minister has come back supporting the changes his Minister will be making despite all the evidence that they will cause more confusion and are deeply flawed ?..And now he wonders why there is a vote of no confidence in him as the Chief Minister!..We certainly no longer have any confidence in him to continue leading the islands government and his council of Ministers. The vast majority of the general public support Constable Chris Taylor's vote of no confidence in the Chief Minister, as we've all had enough of the dictatorial way the Island is being run under his leadership. We have simply lost confidence in his style of Government and also some of the Council of Ministers to do the right thing for this Island...it's time for him to be voted out or maybe he will just do the correct and honourable thing and just step down. If you need confirmation about this just call any Private Hire Cab company and ask is the Minister reducing or capping your fares and will you only have the 3 controlled public rank tariffs on your meters?. ​EVIDENCE OF MORE LIES AND BROKEN PROMISES! Quite honestly it no longer surprises any of us when further information comes to light that the JTDA committee was continually lied to during negotiations with the Department for Infrastructure (DFI) project managers who were under the guidance of the DFI Minister Eddie Noel. During the talks regarding the 3 year wait for our public rank controlled fare increase which is actually tied into the annual retail price index (RPI).. it was mentioned on several occasions that any extra costs incurred to comply with the Ministers new regulations would be taken into consideration and included in the increase as a service enhancement..Then we were told that the Minister was proposing to take away our 20p for extras that have been included into our rank fares for the last 30 years and had not increased for over 10 years and was in-line with the other 366 UK councils who also charge for extras...(Example Isle of Man charge 50p for any extra person or item of luggage). and even more evidence was shown to the Minister of these charges being the standard practice across the UK and within the Taxi industry. We were clearly told that the loss would also be factored into the fare increases. None of our members agreed with this at anytime as we thought it unfair on one passenger to be compensating for say four passengers with large suitcases and golf bags etc. As this would not be allowed to happen at any of the Airlines or Ferry companies as they all charge for extra passengers and luggage etc!. But then we were told in order to get an idea of how much of a percentage the average taxi driver would lose the DFI had been checking drivers meters to gather the information when the driver took his taxi in for there annual vehicle inspection at the DVS. (This alone raises data protection issues as permission was never obtained from any individual taxi driver?). Anyway it was evident that the DFI were unable to get any reasonable data as the meters were showing different readings from one driver to the next as drivers worked different shifts and hours, some worked mainly airports and harbours and took more in extras than a night driver etc. The JTDA then did its own survey by asking some drivers to gather the information over a 4 week period and on average it worked out to be around 5.5% of the drivers income. This information was then given to the DFI as requested. THEN COMES ANOTHER BIG LIE... When the Minister decided to close the door in our face during the ongoing negotiations we were told that he was going to give us a 4.6% increase in-line with the RPI increase over the last three years and then he was just taking away the charges for extras in the other hand and they were adding another 20p per fare to cover the loss? When we asked how they had come to that figure they said it had come from the States Statistics Unit. So we contacted the chief statistician to clarify if this was correct and he wrote back and said: The figure of 20p for extras, introduced by the Ministerial Decision of June 2007, did not come from calculations conducted by me or by anyone else in the Statistics Unit. I’ve looked at files I have going back to 2003. I can find no evidence that the calculation of extras has ever been conducted by the Statistics Unit. So It appears that no one from the department had anything to do with calculating the 20p to be added to ALL fares in place of the normal way of charging for "extras" as we do now..per extra person and per bag.? So they told even more lies when "they" said that the it was the States Statistics Unit who calculated this 20p figure!. We have asked the Minister to give us the opportunity to discuss all these unfinished issues in front of a professional mediator. We have now heard back from the DFI Director of Transport Policy basically saying that Ministerial decision has now been made, and should we wish to challenge it the appropriate route would be to pursue it through in the States of Jersey complaints board? So it looks like the minister has shied away from having a mediator involved we wonder why? But this news just gives another example of why we do not trust anything that is said by anyone from the Department of Infrastructure anymore and especially in the Minister Deputy Eddie Noel. ANOTHER ONE OF YOUR BIG BLUNDERS MINISTER OR JUST MORE SPIN! The Department for Infrastructure Minister Eddie Noel has been standing in front of the media telling them that ALL Taxis and Cabs will only have 3 controlled tariffs and they will ALL be charging customers the same to get from A to B from the 1st July 2017...While behind the scenes his appointed Officers and Project Manager have been reassuring Private Hire that they can still have their own set of fares and tariffs which will be added to the same meters, and without doubt they will be wide open to abuse!. This simply means that there will be anywhere between 6 or 9 tariffs and not just the 3 that the Minister wants the public to believe...As he cannot control Private Hire or set how many tariffs they can have or how much they can charge...So these tariffs will be added along side the Public Rank Taxis 3 controlled tariffs and then Private Hire will all be coming onto the public ranks under the Ministers new regulations with what we call 'Multi Tariff Meters' as there are so many tariffs on them "And the Minister has the cheek to call this "Fare Transparency across the board! "...Minister who are you kidding?. It's certainly not the Taxi drivers. Another big Blunder Minister... Just like your 100% Wheelchair Accessible Vehicles (WAVs) policy for all public rank taxis, this was seen as another total nonsense from the start not only by ourselves but even the disabled community, the elderly and other taxi users and eventually the Minister bowed to public pressure showing again that his policies are flawed. "This Minister couldn't organise a two-ticket raffle"... let alone the Taxi/Cab industry in Jersey. Press Release 8th June 2017. ​​THE MINISTER FOR SPIN AND DECEPTION! The Minister for the Department of Infrastructure (DFI) Eddie Noel is fabricating the truth and hoodwinking the public over his future Taxi policies! The Jersey Taxi Drivers Association (JTDA) along with representatives from the non Association Public Rank Taxi drivers are deeply concerned that key areas and policies that have already been introduced by Deputy Eddie Noel, Minister for the Department for Infrastructure (DFI) are failing miserably and furthermore his main objectives are not going to be achieved under his new policies and regulations. This is the feeling amongst the majority of Public Rank taxi drivers who recently voted unanimously to take industrial action if the Minister continued to railroad his plans through. We feel that that the States Of Jersey and the general public are being hoodwinked into believing that they will be getting fare transparency across the board and a true one-tier taxi system in the future. The President of the JTDA, Mick Tostevin has highlighted two main areas that the Minister has said that he is striving for in his current policies that are already failing now and will continue to fail in the future. The Ministers first objective was to introduce fare transparency and clarity to all the fares and tariffs charged throughout the Taxi industry...At this present time only Public Rank Taxis with yellow (PSV) plates have controlled fares set by the States of Jersey, the taxi meters in these vehicles are also sealed by the DVS to make them tamper proof. Unfortunately these controlled meters will all be lost in the future under the Minister's new proposals which can be witnessed now through his introduction of a fourth plate coloured purple, which have new 'multi tariff meters' on board. As these meters have both Public Rank tariffs and Private Hire fares they are wide open to abuse, (These new 'multi tariff meters' now have up to nine different tariffs) and not only three controlled tariffs as the Minister wants the public to believe...so much for fare transparency Minister, through your lack of Taxi industry knowledge you have now managed to make it more confusing than ever by allowing purple plated Taxi-cabs with 'multi tariff meters' to have access onto the Public Ranks. With the introduction of this fourth type of Taxi-cab plate, along with his new regulations which state that these Taxi-cabs now have to also be attached to a Company or "dispatching entity", (still in draft form and still to be negotiated), before being allowed access onto any of the Public Ranks, and then it's solely up to the driver if they choose to use the Public Ranks. So we now have four different types of Taxi-cab plate instead of three and because these new "purple plates" can earn 30% to 50% more by doing Private Hire bookings, they are only using the Public Ranks as a last resort if they have no other booked work to do, seriously effecting the Public rank service levels at certain times. Furthermore Deputy Noel is stating that he will be steering us towards a one-tier system even though in the UK the Law Commission recommended retaining the current two-tier system, distinguishing between Taxis and Private Hire vehicles in England and Wales. This was the biggest survey ever carried out by the UK Law Commission (on any subject). The 297 page report and draft bill about the whole Taxi and PH issue was handed to the UK Government on the 23rd May 2014 and clearly stated, " It is our view that the structure of the two-tier system promotes consumer choice and the provision of a wide range of services. Furthermore, the different ways in which Taxis and Private Hire vehicles are engaged make different levels of regulation appropriate, so that a single system would lead to over or under-regulation". They were also fearful that by making it a one-tier system that Public Rank Taxi drivers would go back to working for Private Hire companies and this would create a shortage of Taxis working from Public Ranks, and this is exactly what is happening in Jersey under the Ministers new proposals. The JTDA would also like to add further weight to this argument by saying that in the local scenario, the Private Hire sector not only offer the bespoke booking service, BUT very importantly it is they who cover the huge amount of account work carried out on a daily basis, mainly for our all important Finance Industry and which not only has to be managed and administered by somebody but very importantly also has to be "bank rolled" by somebody, as anyone in business knows, generally what work you do this month you have to wait until next month to be paid for. WHY THE MINISTER'S POLICIES WILL NEVER BRING A TRUE ONE-TIER SYSTEM. Deputy Noel's new policies mean that the new "purple ( PSV) plated vehicles" have to stay attached to a recognised Company or "dispatching entity". However they will also have access to the Public Ranks at anytime, but because Private Hire charge their own tariffs, the Minister has had to allow those tariffs to be added to their meters along with the current controlled Public Rank tariffs, in other words a 'multi tariff meter". He has also stated that the current white (PSV) plates (Private Hire), can change to purple plates or remain working solely for Private Hire Companies in the future, it is the drivers choice. Therefore this simply means that the two-tier system will remain in place. Existing 'white' plates who operate solely through Private Hire Companies under the current system, will only change to 'purple' plates if they obtain the new accessibility standard equipment (still to be decided) and the driver has carried out the necessary training, otherwise they stay 'white' plates and they have to remain attached to a Private Hire Cab Company and they will not be allowed to pick up from the Public ranks. Therefore this policy clearly demonstrates that the two-tier system will remain as some sort of hybrid under Deputy Noel's proposals and as previously explained, we feel that a true two-tier system works in the best interest of the Public and agree with the UK Law Commission on this because there is a necessity for Public Rank and Private Hire Cab companies. Does this not mean that some Taxi drivers (Public Rank) will have to undergo training in the handling of disabled passengers and yet others (Private Hire) do not have to undergo any training in this area....discrimination?. We feel compelled to bring these important issues to the attention of the Jersey Public as we cannot allow this Minister to keep promoting his policies which are nothing but a total sham and promote States sponsored fraud, he is hoodwinking the Public of Jersey into believing that they will be getting something that they will clearly not. It appears to be the current way of running the Island by our Ministers.....the decisions have already been made and the consultation process and talks are just an exercise in "smoke and mirrors"..... watch out for commercial liquid and solid waste disposal next!. We have had enough of this dictatorial way of governance and we are prepared to make a stand. The Minister and the general public do not understand the complexities and logistics that are required to run and provide either the bespoke door to door Private Hire taxi-cab service along with the large amount of account work to be bank rolled from one month to the next against the need for the general Public to be able to access fare controlled Public Rank Taxis for the times when they need instant hire from off the street or from Public Ranks, with the reassurance of knowing that they will be charged a controlled fare. The logistics of a Taxi-cab industry are very complex and this was the very reason why the UK Law Commission took three years to reach their final conclusion in recommending the retention of the two-tier system. We all know that new developments in communication are changing the way we book and hire a Taxi or Cab but there will always remain the necessity for keeping the two systems apart as they operate in different markets...yes we know that they sometimes overlap but they still offer different customer requirements...this also gives consumer choice and therefore a one-tier system will never be a true system as explained, the complexities and logistics of operating the two systems are necessary as they are completely different. Perhaps the Minister is starting to realise that his policies are failing but unfortunately he is still hoodwinking the Public into believing that they will work and is forging ahead regardless, probably because of the amount of Public money already spent on this review, ironically mainly carried out by a UK consultant company. ...We want to tell the Minister that it's not to late to change these policies, all he needs to do is make some slight changes, as we said all along 'you do not need to use a sledgehammer to crack a nut', however you need to resolve Public Rank Taxi issues separately from Private Hire issues...by trying to address this by changing everything into some sort of one-tier hybrid system is doomed to failure for obvious reasons that have already been given...simply put the need to keep both Public Rank Taxis and Private Hire Cabs separate from each other is as strong as ever... a hybrid one-tier system will never be one thing or the other, it will leave the Taxi/Cab industry in turmoil and there will be no 'Fare Transparency' with these new 'Multi tariff meters'...mark our words someone else will be left picking up the pieces and trying to explain to the Public why it was allowed to become such a mess in the first place if these policies continue. Below: is the highlighted comments that Eddie Noels made when we first published that we had a new JERSEY TAXIAPP coming soon...His comments are clearly made to hoodwink the public into believing that one set of tariffs with optional booking fee for private hire work is going to be introduced into the Taxi and Private Hire Cab industry. This is clearly not the case as the Minister had already introduced new 'Multi Tariff Meters' onto the taxi ranks with drivers on 'Purple plates'...and he also says the industry is moving towards a one-tier system, again he fabricates the truth as we previously explained that it will never be a true one-tier system. In the post the Minister was replying to a comments made by Nigel Gregory. New hybrid one-tier system ​and his so called fare transparency policy!!! It is with deep regret that the Jersey Taxi Drivers Association along with representatives from the non Association Public Rank Taxi drivers feel obliged to announce their withdrawal from providing a Public Rank Taxi Service this morning Thursday 25th May 2017. The JTDA along with other representatives from the Public Rank Taxi service have been engaged in many hours of talks and negotiations following our day of action held on 21st December 2015 and the subsequent meeting with the Chief Minister, Senator Ian Gorst who directed all concerned to engage in talks and negotiations. At a meeting held at DVS on Friday 21st April 2017, arranged to further discuss important areas of the Taxi-Cab Industry Review, which included Taxi fares and tariffs plus details of the proposed “dispatching entity”, (the Association is proposing a Taxi App). However despite the fact that some of these documents are still in draft, it became clear from his appointed Officers that the Minister for the DFI would not agree to certain key issues and that furthermore the Minister had stated that the negotiations were over. On Monday 24th April an email was sent to the Chief Minister informing him that the Minister for the DFI, Deputy Eddie Noel had called an end to talks and we were seeking guidance from the Chief Minister, as the original instigator of the negotiation process, by asking him what we should do to avert the possibility of industrial action. To date we have not received an acknowledgement of this request. It is our strong view that the current policies of the Minister for the DFI will not achieve the clarity or transparency that he is seeking to introduce in the fare structure and furthermore by continuing on his current course he has caused more confusion by allowing Taxi-cabs with multi tariff meters onto the Public Taxi Ranks, (with up to nine different tariffs). This is not only open to possible abuse but is also affecting the Public Rank's ability to provide an adequate service at certain times. The Minister also appears to think that a one-tier system would best serve the Island, however and along with the Private Hire sector of our industry, we are in total disagreement with this and in contrast we totally agree with the UK Law Commission who carried out an extensive and thorough 3 year Governmental Report on the best system going forward for England and the rest of the UK. In conclusion they recommended retaining the two-tier system of controlled Public Rank Taxis and Private Hire companies which best served the public interest and gave consumer choice. The Law Commission stated that a true one-tier system would be hard to achieve but clearly the DFI Minister, Deputy Eddie Noel has not taken this advice into consideration and is now hoodwinking the public of Jersey into believing that his current proposals would create a one-tier system. This is clearly not the case as Private Hire companies and their drivers have the choice to remain Private Hire in the future which keeps part of the two-tier system in place and creates a hybrid one tier system. On the subject of the recently announced 4.6% fare increase which is calculated by the States Statistics Unit and is based on the RPI (Taxi) over the past 3 years. This figure has not taken into account, as promised by the Minister, the additional costs that drivers have so far incurred as part of the Taxi-cab Review. These include booster seats, enhanced DBS checks and electronic card payment machines (by October this year). To make matters worse we have actually received no increase whatsoever as the Minister has failed to explain to the Public that he is taking away the “extras” charged by Public Rank Taxis (which are the norm across the UK). On average “extras” represent approximately 5.5% of a Taxi driver's gross takings, therefore he is giving with one hand and then taking away with the other and in fact has created a decrease for drivers. In place of this the Minister has offered a derisory 20p to be added to ALL fares and which in our opinion discriminates against the passenger who is travelling alone without any luggage. Is it fair that a group of passengers with a large amount of luggage, golf bags, skis, bicycles etc.etc, should not pay a supplement compared to someone travelling with no extras. The drivers are also extremely angry at the continued lack of action over the issue of illegal “Jersey lifts” and despite the fact that genuine Taxi drivers are having increasing costs and regulation thrust upon them whilst this illegal activity is allowed to grow unabated. Through this whole process the JTDA and other Public Rank drivers, whose fares are controlled and set by the States of Jersey and who work within the rules and regulations as laid down by the DFI and DVS (the regulators), feel that we are the ones being affected the most by the Transport Minister's policies whilst he continually fails to address the real issues and continues to muddy the waters. This current form of Ministerial Government must be seriously called into question when one person can dictate such bad policy and make life changing decisions at the flick of a pen which effect the livelihoods of so many self employed drivers and their families. It is time for us to make a stand. For some time now we have been researching the latest automatic dispatch technologies and the development of taxi apps and soon we will be launching our very own. Public Rank Taxis are usually hired at ranks or hailed down off the street. But now there's going to be a new alternative as they can soon be 'virtually hailed' by using our new smart app!..We actually like to think of this as a new way to hail a taxi right to your door by just using your smart phone or tablet. We all know that taxis are an essential part of modern life, but while the ranks still have an important part to play they are only accessible from areas in town or at the main Harbours and the Jersey Airport. But we recognise that there are times when you need a taxi out of town, whether it's to get to your favourite restaurant or to have a night out in town. There’s no longer any need to call a cab and you can forget about hailing one from the side of the road. Instead there is a new way of hailing a taxi to your door faster and more affordable than using a private hire company. 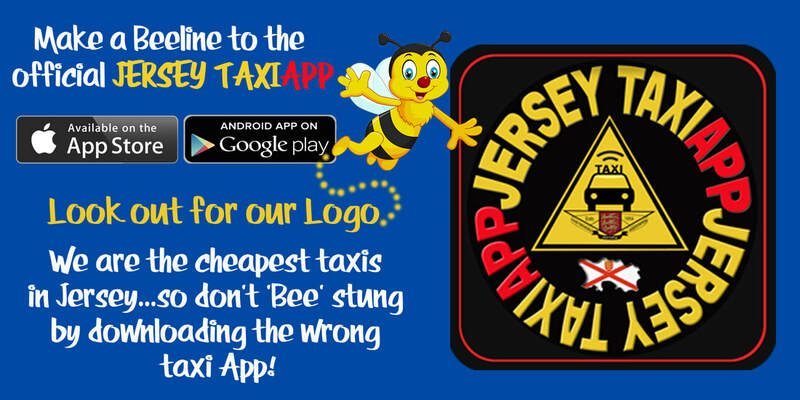 The JERSEY TAXIAPP will soon be launched for our customers to simply down load for free onto both iOS and Android smart phones. Then with just a couple of taps on your mobile you will be able to hail the closest taxi to your door. You will never have to wonder where your driver is again, as the app shows you exactly where the taxi is and you can watch its GPS location and then the app will also alert you when your driver arrives... It's 'Hassle free and Hail free' and the simplest way to hail a public rank taxi....So if you are in need to get somewhere quickly, without any fuss and with the comfort of knowing that you will be charged the States of Jersey controlled fares which are considerably cheaper than private hire fares you will soon have that alternative. The JTDA has also the largest fleet of taxis on the island, more and more public rank taxi drivers are seeing the potential of using a taxi app and want to sign up to what we believe will become the largest automated dispatch entity in Jersey, providing the best service and the best rates with the best experienced taxi drivers in the island. We think it's important for our customers to know that the JERSEY TAXIAPP will be available only to public rank taxi drivers as they have the States of Jersey controlled tariffs and sealed meters fitted in their vehicles. We would also like it to be known that the JTDA and its members are totally opposed to the new multi tariff metres that the Minister for the Department of Infrastructure has allowed to come into operation. As we feel that he has gone against his own transparency policy that he said was going to put into place. These multi tariff meters are already being misused and the incorrect fares are being charged by cab drivers who are using their temporary rank outside liberation station or when they are picking up off the street. So don't forget to keep checking our Website or Facebook page for the latest updates and you will soon be able to forget about dialling cab numbers, or making a taxi reservation, or waiting to hail a passing taxi, because once you have this free JERSEY TAXIAPP on your smartphone or tablet, you can simply request a taxi to come to your door as soon as possible or even make advance bookings for those special trips...And the automatic detection of your location via GPS is ideal for tourists as well as regular users. What date will the 'JERSEY TAXIAPP' be launched? Before the app can be officially launched we have to wait and see what the Minister of the Depart for Infrastructure (DFI) final requirements of a new dispatch entity will be. Once we have completed the requirements and the licence is issued we can announce further details of the JERSEY TAXIAPP release date. JUST WAITING FOR A CRASH AND SOME SERIOUS ACCIDENTS' Says Police Officer! So now we know the truth says the JTDA. Disturbing evidence has now come to light that was recorded on a CCTV camera by a taxi marshal who wears a body camera for security. It shows Jersey lift drivers fighting each other over fares outside Liberation Station...The Marshal who helped break up the fight said this is happening more often as Jersey Lift drivers are now racing each other back to the bus station to pick up the next Jersey Lift request, as the quickest driver back gets the fare...The attending Police officer who helped break up the fight states in front of the camera, when asked by the Marshal why nothing is being done about this illegal Lifts as it invalidates of their license as they are doing it for money? ... 'We know we are waiting for a couple of them to crash or a serious accidents to happen before something can be done about it'. The JTDA are appalled at this comment, is this the new way the Police force are going to deal with people who break the law, It's like saying we will no longer break up street fights until someone is seriously hurt or even killed. Is this why the Police are saying that crime numbers are down? Is it because we no longer prosecute those who break the law?...This cannot be right and it's about time the authorities stopped passing the buck between the various States Departments and the Police force and actually enforce the law. No doubt we will receive a torrent of abuse and comments from those youngsters who offer rides through Jersey Lifts to make extra money by offering strangers lifts, also their Facebook administrator doesn't like any bad publicity as he soon removes any unwanted comments from there Facebook page. He also feels that he is way above the law now as the Police are doing little or nothing to stop him or other like minded people, therefore he openly flouts his new Jersey Lifts App on this social media site which he is desperately trying to masquerade as a car pooling service and tries to make it sound legitimate by saying that Taxi drivers will be operating from it?. He also tells his followers that it's up to them what service they choose in the future!...The JTDA would like to point out that 'NO' self respecting taxi driver in his right mind would go anywhere near this App...simply because it encourages unregulated, uninsured drivers to operate from it. How much of the earnings from the illegal lifts business is being declared to the Income Tax?. How many of these people are also claiming benefits or Income Support?. Who is basically sponsoring these people's illegal activity?. The Public of Jersey and Law abiding citizens that's who. Furthermore what really infuriates legitimate taxi drivers the most is that If this was an illegal financial service provider or illegal drinking or gambling outfit trying to operate outside the law without the proper licenses, they would soon be closed down with the full weight of the law and or the regulators would be brought down upon them. The Police would drop everything to make sure that this illegal operation was closed down straight away and its operators brought to justice. Those within the financial industry would make sure this happened..... So the question now becomes 'Do we now have a law for one and a law for another in Jersey, with various laws that we only enforce when there is enough political clout and will...Surely not?. The security Marshal who has been told by his boss of the security firm to get the video removed from the JTDA Facebook page or they could face losing the contract with their client which is 'Saver St Helier'. who have the contract with the States (DVS) department. The JTDA does not want to jeopardize this young man's job as he has a young family to support so we have agreed to remove the video. 'But it does make you wonder where freedom of speech has gone in Jersey?'. ​There will be more revelations to follow no doubt...Please watch this space.. This latest BBC report highlights the grave consequences of having unregulated taxis in operation, it's a disgrace that the UK government and the different councils turn a blind eye to the illegal activities of those who operate through unregulated services like 'Uber' and here in Jersey we have the unregulated 'Facebook Lifts'. At least our customers can rest assure that all Jersey Taxi and Private Hire drivers are DBR checked alongside a list of other requirements including public liability insurance for passenger safety . 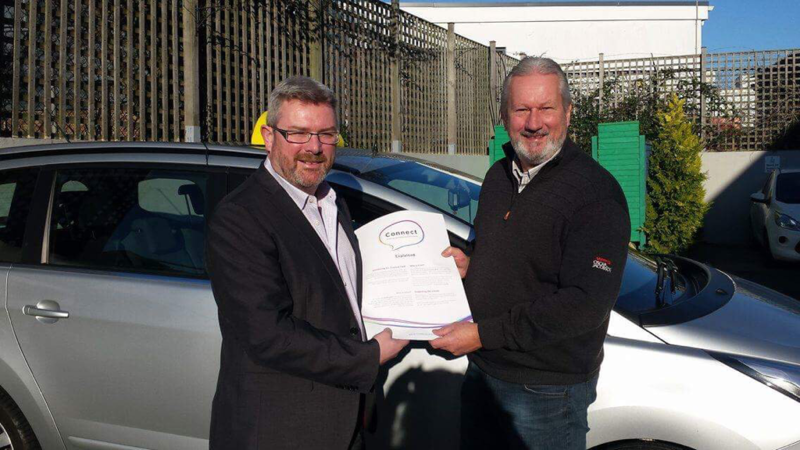 The Jersey Taxi Drivers Association are pleased to announce that their members will be supporting 'Connect' the new initiative service which is aimed at helping people with a particular condition or disability that might affect their ability to communicate and interact. A sticker will be place on the window of Public Rank Taxis so the customer will know that the driver will instantly recognise the connect card when shown which describes their disability and how they would like to be treated and in turn the driver will be able to give assistance by understanding their particular disability helping them to make as normal a journey as possible. The President of the JTDA Mick Tostevin said that this was a great idea which is designed to help and assist people with various disabilities to move around within the community and make it easier for them to access services like taxis, buses, retail shops and general public services. He also said that Public Rank Taxi drivers have received full information about 'Connect' and have been encouraged to display a sticker in their Taxis which will show the passengers that the driver is aware and supports the 'Connect' initiative scheme. Mick Tostevin is pictured below collecting the 'Connect' posters and stickers from Shaun Findlay who is the CEO of Les Amis at Five Oaks. Please click on the button below to watch the video interview and to learn more about the Connect Card initiative. ​Planned improvements to the way taxis and cabs operate in Jersey should make the service more flexible and responsive to customer needs, according to the Department for Infrastructure. Please click on the links below for local media coverage. JTDA president Mick Tostevin last night presented Bob Marie (MBE) with a commemorative plaque and a gift voucher for two to dine at the St Brelades Bay Hotel. Bob Marie has been a Taxi driver for over 55 years and a lifelong member of the Jersey Taxi Drivers Association. The commemorative plaque depicted the scene of Bob's Taxi which was was always decorated with lights and figures for the annual Jersey Christmas parade. Bob was also made an MBE for his years of charity work, which included fundraising and fun runs for pensioners and disabled children. The JTDA members would like to wish Bob (Call sign X-ray) Many happy years of retirement together with his wife Madeline. Bob's Taxi decorated for the Jersey Christmas Parade. The JTDA president Mick Tostevin has today sent the letter below to the Editor of the JEP in response to Angela Francey letter regarding wheelchair Taxis. I read with much interest the recent letter (Monday 28th December) from Angela Francey regarding wheelchair taxis. I sympathise with Angela and her plight in obtaining and accessing various forms of public transport, including buses, which are suitable for her needs as a wheelchair user. I would like to clarify for Angela the situation with regard to the subject of wheelchair vehicles within the Taxi-cab industry, how we arrived at the current situation and the future according to the Transport Minister, Deputy Eddie Noel. In addition hopefully an insight as to one of the reasons that the public rank drivers are feeling angry and frustrated with Deputy Noel, resulting in the action taken by them last week. The whole issue of disabled access to all types of various public places and public transport is a very emotive subject and certainly arouses a lot of public debate. There is no doubt that where ever possible and feasible there should be access for disabled and without discrimination. The reality is that there are many different types of disability and in the public transport scenario there is a requirement for a varied mix of vehicle types to accommodate all of the different needs, in other words one size does not fit all. Some disabled and older folks prefer a low saloon type car, some wheelchair passengers prefer not to travel in their wheelchair and are happier sitting in a normal type taxi with the wheelchair in the boot. For others their requirements may need a specialised wheelchair vehicle with ramps, lifts etc. Approximately fifteen years ago The States were debating about taxis and it was decided to put another twenty taxis onto the public rank, at the last minute it was suggested to make them wheelchair accessible. Because of this hurried decision, made with little thought or research, it was later admitted that this decision was a mistake because most wheelchair bound people are more likely to phone to be picked up rather than turn up at the rank and that these twenty plates should have gone to the Private Hire sector. The next problem (bearing in mind the extra costs involved with purchasing this type of vehicle), was how to get twenty drivers to purchase wheelchair vehicles. The solution at that time was to go to the list of drivers who were waiting to come onto the public rank and offer it to the next person and so on down the list until they had twenty drivers willing to take on these wheelchair vehicles. The main incentive being that many were able to jump the list and obtain their rank plate sooner. At the time many of these drivers were told by the DVS, (who issue the licences), that now they were on the rank and their priority was to cover rank work and not private phone jobs. After all the rank is judged by the Transport Minister on how quickly we respond to clearing the ranks and not how we respond to phone work, that is mainly for Private Hire to cover. The main issue with this both then and now and highlighted by Angela's letter, is that as a wheelchair bound person, she is most likely to want to phone to make arrangements to be collected, however there is no obligation for Private Hire Companies to maintain an adequate wheelchair or disabled service. Furthermore even in the new proposals put before the Taxi-cab industry by Deputy Noel in October 2015, there is still no obligation for the Private Hire Companies to have a single wheelchair vehicle. Why not?. Perhaps Deputy Noel can explain. Over the years the owners of some of the Island's Private Hire firms have applied for additional cab licences so that in addition to having owner-drivers, (those who pay them a rent for the privilege of working under the Company name), they can also have some Company owned cabs so that they can then put their own drivers in them, usually working on a commission or fixed fee basis. Giving Private Hire Company owners these extra licences is effectively the same as handing them an income source, so how come there has been no obligation put in place, past or present, that all of these vehicles should be wheelchair accessible. Furthermore and without any figures or research to back up his proposals, the Transport Minister is now insisting that all 148 public rank taxis must be wheelchair accessible by 2019. In addition under his proposals, if a rank driver does not comply, then he or she has to go back to a Private Company, even those drivers who may themselves have a disability or be unable to physically push a wheelchair. This is discrimination against them. Hopefully readers can start to see the unfairness in this and the frustration which is boiling among the rank drivers, especially those who have just bought new vehicles and taken on hire purchase agreements for four years and hoping to get at least 7 or 8 years use from their investment. Whilst we agree that there needs to be a mix of various types of taxi to cater for the various disabled persons needs, it needs to be proportionate, it needs to be properly researched and it needs to be across the whole industry including Private Hire and without discrimination. Sadly there has been a total lack of proper research and meaningful engagement with the Taxi-cab industry over this subject and much more in what the Transport Minister has set out in his proposals. These proposals are a mess and should be put on hold immediately until the whole issue is properly discussed, debated and thought through. Please read the posts put onto our facebook page. Firstly the JTDA would like to take this opportunity to apologise to anyone who was inconvenienced by the 1 hour demonstration by Taxi drivers in St Helier today, if we could have avoided this action by having sensible agreements from TTS Minister Eddie Noel we would have done just that. Unfortunately the Minister wants deregulation through the back door but on the other hand he wants to continue regulating our fares. No other industry has these conditions applied to their business. The Minister continues to argue we don't control the number of hairdresser or plumbers why should we continue to control the number of Taxis?' Our answer to that is you don't control how much hairdressers or plumbers charge either, but you do control our taxi fares! You don't have to look far to see what happened in Ireland after deregulation. Restriction were lifted in 2000, and between 2000 and 2008, the number of taxi licences rose from 3,913 to 21,177, or 541%. These factors point toward the need for regulation of taxi fares and quality standards. For example, the European Conference of Ministers of Transport (ECMT) (2007) proposed a number of negative impacts from taxi deregulation which included suggestions that outright deregulation could lead to, amongst other things: chaos on streets, an increase in accidents, a decline in vehicle standards, and control of the sector by monopolistic dispatch centres. So for those who support deregulation be-careful what you wish for! We thank those who support us on this matter as this is our livelihoods and most of us have families to support. After recent meetings and negotiations agreed proposals from the majority of Public Rank and Private Hire drivers and operators has now been delivered to the Transport Minister, Deputy Eddie Noel along with a covering letter which states, that as this matter is seriously effecting the lives of so many in the industry we request a meeting with him within the next two weeks, or certainly this side of Christmas. We sincerely hope that the Minister after reading these new proposals will agree with the improvements which have been carefully thought through by those who work within the industry, as these are the actual people who work at ground level day in and day out and who have many many years of experience between them, therefore their combined knowledge and experience in knowing what will or won't work is so invaluable. We therefore hope that the Minister will take these proposals seriously, as we have addressed all the main issues and problems with a common-sense approach and come up with many good and workable ideas that can easily be applied into a set of new regulations that are neither radical, unnecessary or financially burdening for any individual driver or operator who at the end of the day just what to make a living while providing a good level of service for the public during a time of austerity and continual cutbacks by the States of Jersey. With these set of new proposals the Taxi-Cab industry can move forward into the 21st century, achieving a good level of transparently and service for the public in Jersey which also allows for competition which we believe to be healthy for any industry. 4.9.3 An obvious question is whether all taxis should be wheelchair accessible, in the same way that buses now are. In many British cities this is a 100% requirement for rank taxis; some of these have implemented this by requiring all taxis to be a ‘London-taxi model. The focus on rank taxis reflects the fact that these provide a non-pre-booked service and therefore should offer the highest levels of accessibility. The downside is that many disabled people find the standard London taxi much more difficult to board and alight than a conventional saloon car – in particular it is difficult to simply sit down backwards onto a rear seat and then swing one’s legs in. The latest version of the traditional London taxi, the TX4, has had to incorporate some complex modifications to offer something similar, but these are still not simple for someone with walking difficulties or someone transferring from their wheelchair to a seat, compared to a conventional saloon car which has a wide opening rear door. Some of the other wheelchair accessible vehicles available, such as the Peugeot E7 or the Fiat Doblo, are slightly less cumbersome although entrance height can be off-putting. When asked, a majority of people with disabilities prefer a saloon car type vehicle or can use any type of vehicle. Recent research in Northern Ireland suggested that 5% of taxi demand requires a wheelchair accessible vehicle, whilst a further 6% requires an MPV or van-based vehicle (i.e. with greater space). The U.K. Law commission published a report on the 23rd May 2014, setting out their recommendations and a draft bill :- http://www.lawcom.gov.uk/project/taxi-and-private-hire-services/ http://www.lawcom.gov.uk/wp-content/uploads/2015/03/lc347_taxi-and-private-hire-services_summary.pdf. The recommendations in this Report have been formulated following a wide- ranging consultation with representatives of the taxi and private hire services industries and the regulators, including local licensing authorities, the Traffic Commissioners and the Driver and Vehicle Standards Agency (formally the Vehicle and Operator Services Agency). We also consulted groups representing disabled persons, trades unions, and the police, and welcomed input from specialist consultants. While they recommend that taxi and private hire drivers, both new and existing, should be required to undergo disability awareness training as a pre-condition of the grant or renewal of a licence. They also said in a more detailed report below:- http://www.lawcom.gov.uk/wp-content/uploads/2015/03/cp203_taxi-and-private-hire-services.pdf. 11.21. The requirement for all taxis to be wheelchair accessible may not be entirely beneficial. Full accessibility may not be right for every area, depending on the needs of the local population. A requirement for all licensed taxis to be wheelchair accessible imposes a financial burden on the industry. Anecdotal evidence gathered during our preliminary meetings with stakeholders suggests that, where such requirements are imposed, a number of taxi drivers transfer to the private hire vehicle trade. This in turn may be detrimental to the population at large as it may reduce availability. 11.32. Drawing up an acceptable specification for an accessible taxi has proved to be very complex, not least because it is difficult to identify a design which would work for different people with different disabilities. Most stakeholders we have spoken to agreed that the goal of a single universally accessible vehicle is, for all the reasons we have considered so far, misguided. In May 2011, transport minister Norman Baker MP announced that the Government had no intention of making such regulations. The Law Commission also recommended:- Retaining the current two-tier system, distinguishing between taxis and private hire vehicles. Only taxis should be allowed to be hailed or pick up passengers from ranks. In their view the two- tier structure promotes consumer choice and the provision of a wide range of services. Furthermore, the different ways in which taxis and private hire vehicles are engaged make different levels of regulation appropriate, so that a single system would lead to over or under-regulation. Deputy Eddie Noel clearly wants to steer the Jersey Taxi-cab industry into having a one-tier system and has said this publicly during media interviews after setting out his new proposals. The JTDA pointed out to the Minister at various meetings that a one tier system when implemented doesn't work well in other countries and comes with its own set of problems. You don't have to look far to see this, as our sister island Guernsey adopted a one-tier system some years ago. A prime example of its inefficiency is when the public try to book a Taxi as there are no longer any private hire companies to take the bookings but just individual public rank taxi drivers. This has become a frustrating exercise for many who just want to book a Taxicab as they have any option but to phone up individual drivers. Some of these public rank taxi drivers have now formed there own splinter groups to set up a booking service to try and resolve the problem, so they have basically gone full circle to rectify a problem that was caused by introducing a one tier-system. In the UK much study and consultation was taken into consideration regarding the introduction of a one-tier system. The UK Law Commissions report dated 23rd May 2014, said that it would in practice be impossible to install a truly one-tier regulation. Therefore they support keeping the two-tier system in operation. They also said 85 percent of those who responded to this question agreed. The U.K. Governments response back to this report:- It is understandable that the first proposal in the consultation document relates to the way in which the whole system should work. The Government agrees with the Law Commission’s proposal that regulation should continue to distinguish between taxis, which can be hailed on the street and wait at ranks, and private hire vehicles, which can only accept pre-booked fares. This approach allows for the sort of targeted approach to regulation which we would want to see in a modern regulatory framework. One possible option for reform would be to move away from the current distinction between taxis and PHVs to what is described as a “one tier” system. This option would provide for a single category of licensed vehicle that would be able to take pre- bookings, to be hailed and to wait on ranks on the same basis as current taxis. There would be no free- standing category of PHV licence. Variants of this option would introduce some modifications to the basic model. An example might be to reserve certain positions in prime ranks for use only by wheelchair accessible vehicles. Although we were impressed by the strength of arguments in favour of a one-tier system, which may seem attractive in its simplicity, it would in practice be impossible to install a truly one-tier regulation. Even those models of a one-tier system put forward by consultees were not truly one-tier, as they would require some modification in order to accommodate less standard services such as limousines and larger vehicles. Under this option regulation has to encompass a broad range of services and vehicles, and over-simplification could have the unwanted effect of squeezing out some providers and different elements of the market. We have chosen not to pursue this option because we see the pre-booked market on the one hand, and hailing and ranking markets on the other, as having very different characteristics. As described above, these characteristics suggest the imposition of uniform national standards on PHVs, but no more. By contrast, there is case for greater intervention in the taxi market, to regulate fares, for example. It follows, in our view, that the economics of the market in which taxis and PHVs operate, and the regulatory implications thereof, support a market distinction. In one market there are those vehicles and drivers who should be permitted to undertake only pre-booking, and another market for those able to engage in the hailing and ranking markets. If greater intervention is needed in one market and not the other, then a one-tier approach necessarily implies that either one market will be over-regulated, or the other under-regulated. Either we accept unnecessary and anti-competitive restrictions on pre-booking, such as fare regulation and higher quality standards; or we fail to properly regulate fares and quality in the hailing and ranking markets. Either way, consumers lose. In the first situation, they are faced with inflated prices (and, possibly, less choice in respect of quality) in the pre-booked market. In the second situation, they face exploitative monopoly fares and poor quality provision in the hailing and ranking markets. Equally, it would be very difficult to ensure proper provision for disabled users in a one-tier system. The loss of the distinction between taxis and PHVs would, as with fares, result in either over-regulation – in the form of a requirement that all vehicles be wheelchair accessible [WAVs], or by only allowing WAVs to access ranks, for example – or under-regulation, for example simply allowing market forces to operate. As we have seen, market forces do not ensure sufficient provision in the hailing and rank markets. For the above reasons, we do not pursue the one-tier system as a valid option. Our analysis below focuses on our preferred option, that of a reformed two-tier system. In conclusion, for the reasons mentioned above, a reformed two-tier system is our preferred option. 85 percent of those who responded to this question agreed. James Button and Co Solicitors explaining about the UK Law Commissions proposed legislation for the Taxi and Private Hire industry in England and Wales. The UK Law Commission report was published on 23rd May 2014. The Law Commission started work on this project in the summer of 2011. They were also assisted by some experts in the field, including an advisory group and an expert legal panel. The recommendations in this Report have been formulated following a wide- ranging consultation with representatives of the taxi and private hire services industries and the regulators, including local licensing authorities, the Traffic Commissioners and the Driver and Vehicle Standards Agency (formally the Vehicle and Operator Services Agency). They also consulted groups representing disabled persons, trades unions, and the police, and welcomed input from specialist consultants. They received over 3,000 responses to their consultation, making it the highest ever number of responses to a Law Commission consultation. They have now published there report and together with a draft bill it was sent to the UK Government for recommendation. The Law Commission has put together a number of very good recommendations, with sound judgement and commonsense these regulations will take the Taxi and Private Hire industry in England and Wales into the 21st century. So it is with real shame that our local Transport and Technical Services and the Minister for TTS who has just been in the job since November 2014 thought it better to completely ignore these recommendations and to come up with their own radical proposals ? A meeting was held today with representatives from both the Jersey Taxi Drivers Association and the main core of Private Hire Cab companies to discuss the radical changes that have been proposed by Deputy Eddie Noel, the Minister for TTS. The meeting was also to discuss away forward for the industry and to find some common sense proposals to take back to the Minister that would be both beneficial to our customers and for the Taxi-Cab drivers working in the industry who just want to be able to make a reasonable living. The finer details of today's talks cannot be published at this stage, but it can be said that the meeting went very well with positive suggestions for improvements to be made within the industry and for away forward for all concerned. This was the first meeting to be held by representatives of the JTDA and Private Hire, so it was agreed that there would be further talks needed, this will hopefully lead to a set of proposals that would be acceptable by the majority of those who work within the industry, these proposals will then be taken back to the Minister for recommendation before Christmas. Letter to Deputy Eddie Noel, Minister for TTS from the President of the JTDA. Today's crisis meeting with the Minister of Transport and Technical Services (TTS) regarding the new radical proposals for the Jersey Taxi-Cab industry. Present at the the meeting was the President of the JTDA, Mick Tostevin along with committee members Chris Gouyette and Aldo Morris who met today with the Minister of TTS, Deputy Eddie Noel. Also present Tristen Dodd TTS, Gordon Forrest DVS. Also present, acting as mediator and support for the JTDA was Deputy Graham Truscott, St Brelade. Today we had our opportunity to raise our concerns and to put forward our many points and arguments against a lot of the new radical proposals for the Taxi-Cab industry by the Minister for TTS. Deputy Eddie Noel, who wants to start bringing into force these changes by March 2016. Most of the issues posted in JTDA letter to the Minister dated 10th October (See below), and more were raised and they were also backed up by facts and figures and the possibility of a legal challenge, giving the many reasons why we felt a lot of what was being proposed was over the top, unnecessary and unworkable. As far as he is concerned the train has now left the station and the proposals will go ahead starting in March 2016, unless we (the industry as a whole), which includes PH, can come forward with a set of proposals and ideas that would be in the best interest to the public, (including disabled and wheel chair). If we can convince him that we have a better set of ideas and proposals then he is willing to listen and that we could change the route of the train. The JTDA have said all along that you don't need to use a sledge hammer to crack a nut, and there is always a fairly reasonable chance of a solution to a perceived problem when the existing industry is properly engaged in the decision process and not totally ignored. Surely this makes sense for any industry, that you look first to the knowledge and experience of the people who actually work at ground level day in and day out, working towards improving the service and perceived problems in that particular industry. I am fairly confident that between the JTDA and Private Hire Company representatives that responsible proposals for some change in the industry together with reasonable solutions to the actual problems can be found. Let's just hope if they are that they will be listened to by the Minister, only time will tell? One thing for sure, if the Minister does not listen and still goes ahead with his proposals there is all probability that the train will derail its self ! Letter from the President of the JTDA to Deputy Eddie Noel. ​The new regulations for the Taxicab industry were finally announced on Monday 28th September 2015 and to our total dismay it turns out that the Minister for TTS, Deputy Eddie Noel wants to implement radical changes to the Taxicab service industry, and these changes could have major consequences and effects on all Taxicab drivers and the future of the Taxicab service to the public. This has completely shocked and disillusioned my colleagues, they are deeply concerned about the serious implications and the erosion of their livelihoods that these radical changes will make. Unfortunately Deputy Noel has not listened to any of the representatives from Public Rank Taxis or Private Hire Companies, even though they were invited along to various consultations regarding changes since he took over as the Minister for TTS towards the end of last year. We are being repeatedly told that the Island is facing hard times and there must be cutbacks in the services that the States provide and yet we cost the Tax payer absolutely nothing (we are a user pays industry of self employed drivers), who are being forced to spend thousands of pounds on new vehicles and services which are totally unnecessary and would have to be met solely by the driver. One of the major changes the Minister wants implemented by 2019 are that all Public Rank Taxis must be changed to disable vehicles. This is totally over the top and already we are seeing feedback from passengers who maybe disabled but not in a wheel chair and who do not want to travel in a wheelchair Taxi. In a JEP pole carried out since the new regulations were announced, 72.6% of respondents state that making all Taxis wheelchair accessible is not necessary. We already have disabled vehicles which are used by the disabled about 1% of the time. We carry far more elderly passengers that are able to walk to a rank but usually request a saloon type vehicle as they are not able to get up or down off the high step that most wheelchair Taxis have, the Minister has not taken these elderly customers needs into consideration by making these sweeping changes. If anything this regulation should be applied to the Private Hire Companies as disabled people tend to want the door to door service rather than trying to make their way to a Taxi Rank, that's not rocket science. However this will not be a regulation for them, please can someone tell us where the common-sense or fairness lies in making this a regulation only for Public Rank Taxis?. Over the past few years a leading local Private Hire Company handed back to the DVS several cab licences (plates) that were on wheelchair vehicles. We recently had a situation where an account customer of this firm who required a wheelchair Taxi, was given a Public Rank Taxi driver's phone number because he has a wheelchair vehicle. Then to add insult to injury the Minister is going to allow Private Hire Cabs onto our ranks to apply for hire if they purchase a disabled vehicle. The Minister is happy to judge the performance of the rank Taxis by how quickly we clear the passengers who maybe waiting and yet is happy now for drivers on the rank who have wheelchair vehicles to be called away to answer phone jobs. We agree that a certain percentage of rank Taxis should be wheelchair accessible and in fact about 15 years ago another 20 plates were put on the rank and were all made to be wheelchair Taxis. The incentive for drivers waiting on the list to join the rank was that they could effectively jump the list, As with everything some of these drivers for whatever reason (normally medical), are not able to continue pushing wheelchairs into their Taxis and they have been allowed to have an ordinary vehicle. The DVS told me that as a rough benchmark, if a driver has done 10 years with a wheelchair vehicle then they would more than likely be granted permission to change back to a normal vehicle if they had a health issue. We think that they should then offer the wheelchair plate to the next on the list working back until somebody is prepared to take it on, again the incentive is perhaps moving up the list more quickly. Furthermore there has been no care or consideration shown by the Minister to those who have recently purchased new eco-friendly cars, which is in line with the Sustainable Transport Policy 2010, to reduce the Island's carbon footprint. The purchase of a new vehicle is a big investment for all Taxicab owners, fitting meters, radios etc. and not something that can be recouped when it comes to reselling as the high mileage and ware and tear of public service vehicles returns very little in resale value. When buying a Taxi the driver will hope to get at least 6 to 10 years service from that vehicle depending on how many miles they do or how long the engine lasts. There are over 159 Private Hire plate holders, if they all take up this opportunity to use the public ranks in between doing their private hire work, none of the public rank taxi drivers will be able to get onto their own ranks to make a living. The ranks are already full during quiet periods, in fact some Fridays and Saturday evenings before the pubs and night clubs close we can't even get onto our overflow in Mulcaster Street, so we have to illegally park and wait in Bond Street and Conway street for a chance to move onto the overflow. When this was put to the Minister, he stated that not all the existing ranks were being used at night and gave Library Place as the example, but what he forgets is the reason we don't use Library Place during the late evenings, is that no customers go there after 7.00pm, there are no bars or restaurants in that area. Instead nearly all customers all go to The Weighbridge area for the night clubs, bars and restaurants so when they come out of these establishments that is where the Taxis need to be. He has also forgotten the need for taxi marshals we can't afford to put them on all the ranks? These are just some of the changes he wants to implement, there will be other costs for drivers to absorb after having to buy a disable vehicle as he wants the livery colours to all be the same with coloured vinyl wraps for their bonnets and advertising on the sides. Each car has to then be passed by the DVS when first put onto the road even if it's brand new and this costs the driver £140 annually. Interestingly DVS have increased it's charges to us by an average of 2% per year for vehicle testing and PSV Badge renewals. The fares for Public Rank Taxis are already controlled by the Minister for TTS. Some time ago it was agreed that the fares would be linked to the Retail Price Index (RPI), which looks at the price of around 250 items, including rent, mortgages, household bills, food, clothes etc and motoring costs such as fuel and repairs. The States Statistic Unit came up with an RPI (Taxi), which looks at the motoring costs and multiplies them by 4 or 5 to assume a figure based on the fact that a Taxi driver will incur 4 or 5 times more running costs than the average motorist. Taxi drivers will have to affiliate themselves to a booking entity and yet we will not be able to take an individual phone booking on our mobile. 'Why ?' Again more expense of either attaching to an existing company, forming our own company, getting a phone app. or some other kind of booking service and all the associated costs involved and again totally unnecessary. He wants to make the fares more transparent ?. We already have a card displaying the fares in the Taxis now and it would be almost impossible to put, within the confines of a vehicle, either on the inside or outside an exact idea of the fare as it is based on distance and time. However from our experience a passenger would normally ask a driver for an idea of how much the fare is likely to be before setting off. The Minister talks of introducing a "Booking Fee" and is not concerned as to how much this would be, but must be disclosed at the time of booking. It was pointed out to the Minister that the person booking the Taxi-cab may not be the person actually using the Taxi. i.e. Hotel or restaurant. He stated that eventually all people would be using smart phones to book themselves ?. SIMPLIFYING THE TARIFFS. Rank Taxis currently have four tariffs. Tariff 1 is the benchmark and is from 7.00am until 11.00pm. Tariff 2 is approx. 30% more and is from 11.00pm until 7.00am. and these are the main tariffs used on a daily basis, (16hrs). Tariff 3 falls in between T1 and T2 at approx. 20% more and is only used on Sundays and Bank Holidays up to 11.00pm. This tariff 3 was introduced to give drivers a little more revenue on Sundays and Bank Holidays. Tariff 4 is only used at Christmas Day, Boxing Day and New Years Eve/Day and is not double or treble as some people suggest, but in fact is approx. 65% over the Tariff 1 fares. We do not feel that this is particularly confusing as T4 is only used about three times a year and we feel that it is fair and reasonable to be paid more for working unsociable hours, how much would TTS charge if they were called out on Christmas Day?. The extras which are 20p, are charged on individual pieces of luggage carried in the trunk of the Taxi, however most drivers would not charge for smaller items such as carrier bags. An extra 20p is also charged for each extra passenger, so three in a Taxi would pay an extra 40p. With larger Taxis, 5/6 and 7 seaters then the 20p is charged for each passenger, however Private Hire often charge 50% more of the overall fare. ​MORE QUESTIONS FOR THE MINISTER. If the Minister is scrapping extras, reducing our revenue even more, what possible incentive is their for a driver to purchase a larger vehicle and all the extra expense. Incidentally the DVS charge more to annually inspect larger vehicles. If extras are scrapped and the Minister wants to allow for larger (needed) Taxis how does he propose to allow a charge unless by adding another tariff or tariffs?. If a Taxi-cab turns up late then the booking fee cannot be charged?. What about when the passenger is late, what about when the passenger is sick in your Taxi, what about when the driver is assaulted?. We asked in the consultation that there should be better protection for the driver through better legislation as in many other jurisdictions. Nothing is mentioned in any of these proposals. Competition Law, Health and Safety and so on. We will be seeking out many of the issues that make most of what the Minister is proposing as nonsense and overkill. We shall be seeking advice on the legality, both locally and nationally. We have over 90 Association members (152 total Rank drivers), who have put in many years of service and are all self employed, most of them have either mortgages or high rents to pay, with families and children to look after and support or finance through university. These drivers can ill afford to have a Ministers experimenting with their livelihoods and telling us that everything will work itself out. The Minister gave us reassurances that he would not deregulate our industry or make it into a one tier system, as it was pointed out to him that it simply hasn't worked in other countries, you only have to look at our sister Island Guernsey to see that it doesn't work as it has created more problems than it solved. The Minister was told time and time again that you did not need a sledge hammer approach to crack a nut, just sensible changes and some control over Private Hire fares as in the case with Public Rank Taxis. If there is proof of an unreasonable unmet demand at the ranks, then the Minister has the power to put on extra taxis at any time. He has not listened to any of our advice and years of experience in providing a Taxicab service in Jersey, so these consultations were a complete waste of everyone's time and effort. No wonder why there is so much apathy in the island when it comes to voting in our Ministers as they simply don't listen to anyone. Therefore our members have stated that they have no confidence in Deputy Eddie Noel as the Minister for Transport. If a Minister or the Mayor of London tried to implement such radical changes in London there would be a major outcry and probably a complete blockage of all the roads leading in and out of London by the Hackney Taxi drivers. They would be protecting their livelihoods, history and heritage, there would be protests set up all over London, they would go on strike as they would see this as a major dismantling of their service. However here in Jersey we are expected to lie down and accept any changes our politicians feel fit to endorse regardless of their implications. But this time they have gone too far! Everyday carries with it some news of some type or another and the Taxi world is no different, in fact when you have 148 Taxi drivers on the Island's roads stopping and chatting whilst waiting for their next fare, it can be a bit like Chinese whispers at times, so often rumours are abound within the ranks. The main issue that we and in fact the whole Taxi and Cab (Private Hire) industry is keen to hear some real news on, is the long awaited review of the industry, which I think has been going on for at least the past six years!. The review was originated by Constable Mike Jackson when he was Minister for Transport and Technical Services (TTS) and whose department is responsible for public transport in the Island. We have seen two Ministers for TTS since then and the current Minister, Deputy Eddie Noel has inherited the task of reviewing the whole Taxi/Cab Industry. To a large extent the Channel Islands Competition Regulator (CICRA) has also played a role in the process and to a large extent are responsible for the current situation, more on that later. Deputy Noel made a statement last year, shortly after being elected and taking up the reigns as Minister for TTS, that it was unfair to those working within the Taxi/Cab Industry to be kept waiting any longer for the proposals to be made public, it also is counter productive and stifles new investment from within the industry due to the uncertainty of the future. We were originally told the proposals would be out by Easter of 2015, then May, then June, July and so on we go. The view of the JTDA and I feel the majority of those working in the trade is that generally the current system works well most of the time. The current system provides the immediate on street hire of a Taxi at recognised Taxi ranks and the passenger is safe in the knowledge that the fare that they will pay is controlled by the States of Jersey (TTS). Obviously at certain busier times, when all the clubs spill out at 02.00am for example, or when 4 aircraft arrive within a short space of time, then like any other business, there could be a queue. However the JTDA feel strongly that through initiatives such as the “Q-Safe” Taxi marshal scheme, (which the JTDA members contribute towards), the time taken to clear the queues has improved greatly. On the other hand if a person does not wish to wait or for whatever reason, or wants to be at a certain place at a certain time, then they need to book a Taxi and this is where the Cab or Private Hire firms come in, offering the bespoke service, tailored to the passengers requirements. These requirements can be varied from needing a larger vehicle for 5/6/7 or more passengers, a special vehicle for someone with movement difficulties, passengers with pets, large amounts of luggage to move and so on. Also and very importantly for the Finance Industry in Jersey, the Private Hire Companies carry out much of the account business, which for them is a large proportion of their daily work. The point here is that it costs the Private Hire operator a lot of money to run a proper outfit capable of offering a full service and I have often stated that a Company should have a minimum of 20 cabs to do the job efficiently. They have to pay for a depot or office to operate from with all the associated costs of rent, rates, electricity, phones and then the staff to answer the phones and to allocate the work or take forward bookings,possibly orders for special requirements and of course administer the account work. So you can see that there is a lot of expense that the Cab or Private Hire incur and so therefore that is the main reason for the difference in the fares and the two systems, the “off the peg” Public Rank Taxi and the “bespoke or tailored service” offered by Private Hire. Well this is where the main issue lies and to come back to my point of the Competition Regulator (CICRA) playing a part in the current situation. There is no doubt that Private Hire have costs involved which the Public Rank Taxis do not. Prior to around 2006 most of the Island's Cab (Private Hire) were members of the Jersey Cab Drivers Association (JCDA) At their AGM they would basically discuss and set a fare structure for the coming year and agreed that they would all charge the same, which was approximately 10-15% more than the Rank Taxis to cover their overheads. It was the Competition Regulator who stepped in at that time and accused the JCDA of price fixing and collusion over fares and wanted more competition on pricing. This was a massive mistake and own goal by the Competition Regulator, since that time the JCDA fragmented and apparently has less than ten members and the Private Hire fares are all different, some have risen to be 20%, 30%,40% more and we have heard of some cases, especially at night, where some passengers we hear from have paid double to what the Public Rank fare would be. So we are now at a situation where we have almost gone full circle, how much time and public funds have been wasted over the past several years, when the current Minister would probably be delighted if the fares charged by Private Hire were only 10% to 15% more than Public Rank fares. There would probably have been no need to review the current system in the first place. The Competition Regulator is surely there to ensure that there is not an abuse of position and not to create one. Some people say why not make it all the same, one system ?. Hopefully you can see that there is a need for the two different types of Taxi, currently there are 148 Public Rank and around 160 Private Hire Cabs. The two tier system works well in most places around the world and one only has to look across to Guernsey to see that a one tier system does not always work. Drivers in Guernsey also buy and sell their Taxi licences (plates) and this has had the adverse effect of people buying them as an extra income and only working at weekends, Regular drivers have formed themselves into small groups and companies and the Island suffers from a distinct lack of a decent Taxi service because of it. 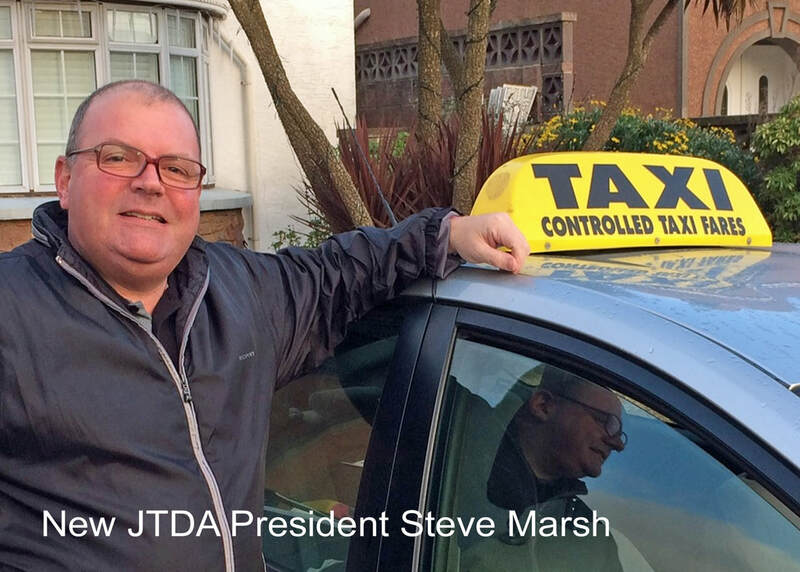 So moving forward the JTDA are hopeful that the Minister for TTS will come out with some sensible, workable and enforceable proposals to further improve the Taxi and Cab industry in Jersey and tweaks what we already have rather than a host of completely unnecessary changes. As I've said many times in the past... 'they don't need to use a sledgehammer to crack a nut'.